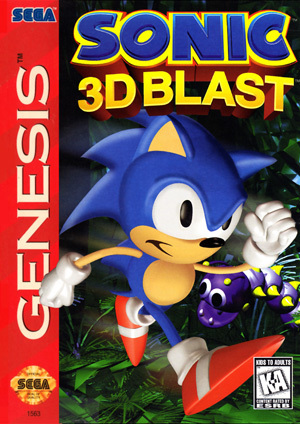 Sonic 3D Blast, known as Sonic 3D: Flickies' Island in Europe and Japan, is an isometric platform game in the Sonic the Hedgehog series. It was developed in the United Kingdom by Traveller's Tales and published by Sega as the last Sonic game released for the Sega Genesis. In contrast to the other Sonic games released for the Sega Genesis, which were 2D sidescrolling platformers, Sonic 3D is played from an isometric viewpoint in a 2D environment, using pre-rendered 3D sprites to create pseudo-3D graphics. The graph below charts the compatibility with Sonic 3D Blast since Dolphin's 2.0 release, listing revisions only where a compatibility change occurred. This page was last edited on 27 December 2017, at 07:08.